In the center of Gaios and only five minutes walking up from the main square you can find Sofia Apartments.The nearest beach is about 10 minutes walk. 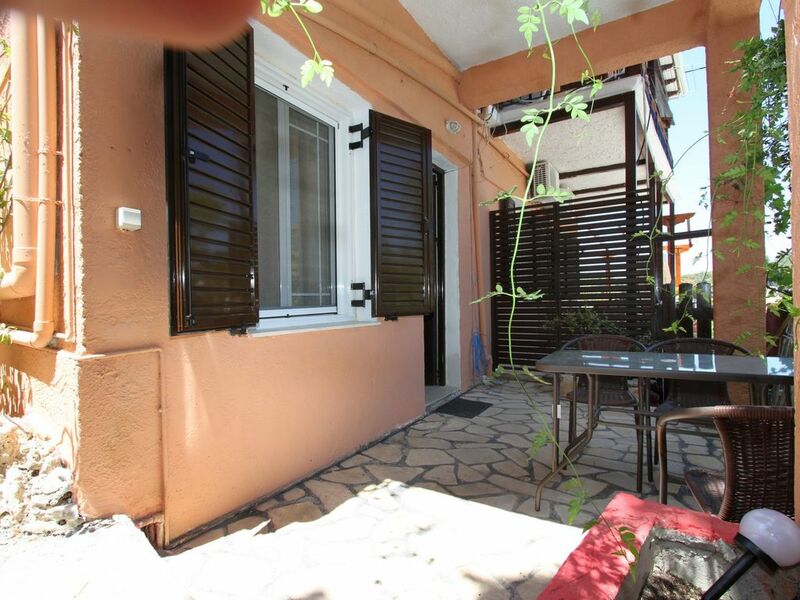 All the facilities, tourist shop, super market and restaurant are very close.A fully renovated ground floor apartment 44 square meters area with backyard.Consisting of Doubled bed plus one small sofa for an extra guest more likely child, a spacious living/dining room, kitchen and a bathroom with shower. A small backyard with a table.Sofia Apartment Three sleeps up to three guest comfortable.The distance from the main square of Gaios to the Sofia apartment is about 3 minutes walks.We can guarantee that here you will find the calmness and the peacefulness that you are looking for.